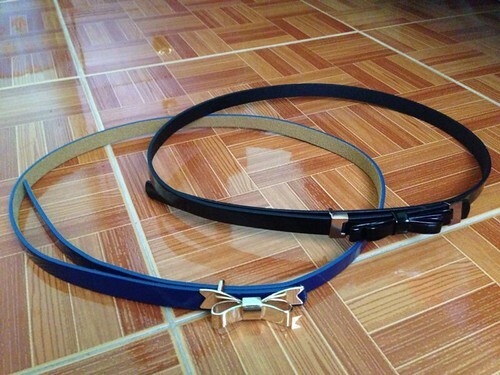 Sturdy and Stylish Belts from Saizen! They say Japan-made products are cool and durable. I think there's some truth to that. Back when I was a kid, we had a Sony TV that lasted for more than a decade. It would have lasted longer had it not been stolen. Haha. See my point? Japan-made stuff have this reputation that I can't help patronizing them. Like the ones sold at Saizen, for instance. 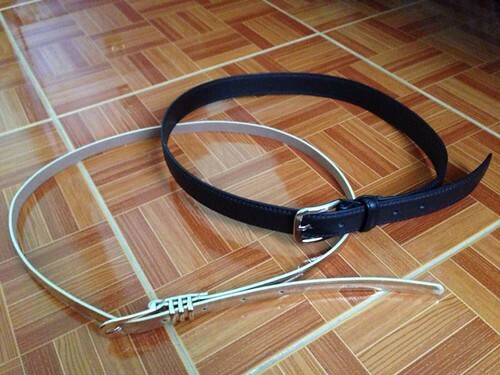 I was at Saizen-The District, Imus last Sunday afternoon and hoarded their belts, among other things. Well, not exactly. I actually just bought four pieces. 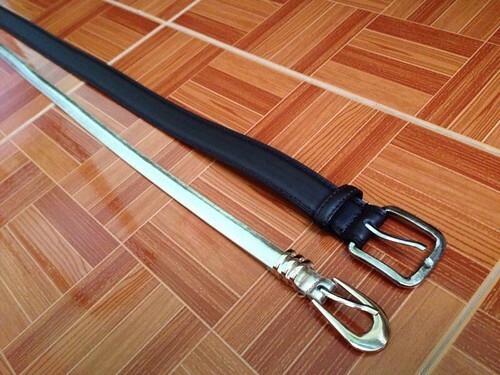 Prior to this, I already bought two belts from Saizen. 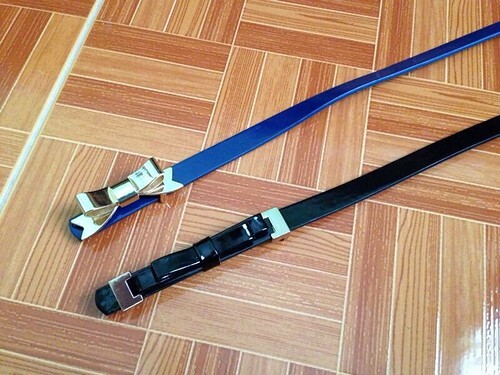 They are just basic belts, one in black and the other in brown. They are fantastic! I wear them with my pants to work on an almost daily basis and they still look brand-new. No peeling of the skin/material of the belt nor the thread, no nothing. They're made of faux leather but quality-wise, they look top class. A few weeks ago, the black got misplaced (or might have been stolen again!) and so I thought of replacing it when the opportunity presented itself (which was that Sunday afternoon). The black one is the replacement for the one I've recently lost while the metallic gold one is for pairing with my shorts. Aren't they lovely? For just P88 a piece, I think they're a steal! Aren't the ribbon details so cute? Very classy and feminine, indeed. These two are for pairing with dresses and I can't wait to wear them! 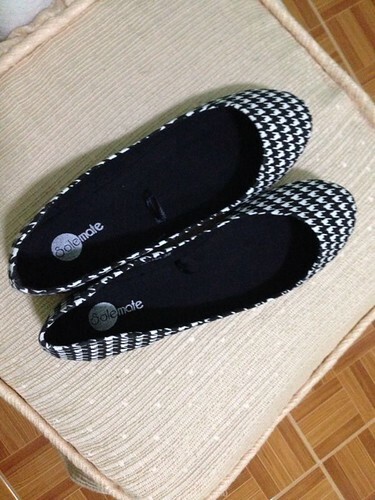 When I saw this pair of flat shoes from Solemate at the department store of SM Bacoor, I knew I had to have it. 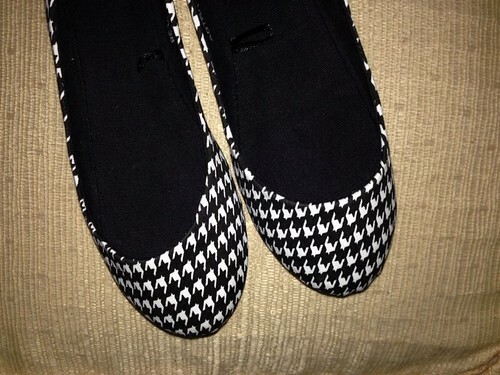 I’ve always wanted to have a houndstooth in my closet. I’ve yet to acquire my dream houndstooth blazer, so this will do for now. Haha. For P299.75, it’s pretty cheap. Solemate shoes are really priced like that. They even have buy one, take one shoes at just P499.75. Their shoes are known to have soft soles. They are very comfortable and are made for walking. I just don’t like how thin the soles feel. It’s like my feet can get wet in an instant should I walk in a damp road. But it’s okay, I should just take note of the road I’m walking in wearing these shoes. I have to make sure it’s dry and all. Anyway, I’ve already worn this pair at work. I paired it with an all-black outfit and it gave the contrast I was aiming for. My bad, I should’ve taken a picture and uploaded it here. Maybe next time.